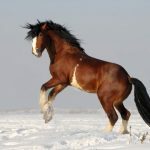 The Vladimir Heavy Draft, a breed of strong, medium-sized draft horses was developed in the Vladimir and Ivanovo regions in the former Soviet Union. 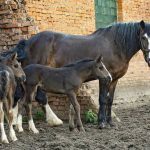 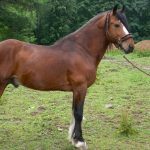 Even though it is a working equine breed, its agility along with a stout build makes it suitable for use in riding and dressage. 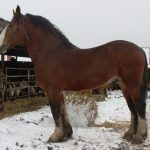 The Vladimir Draft horse was developed in the early 20th century with the intention of breeding a horse having medium draft power and high speed. 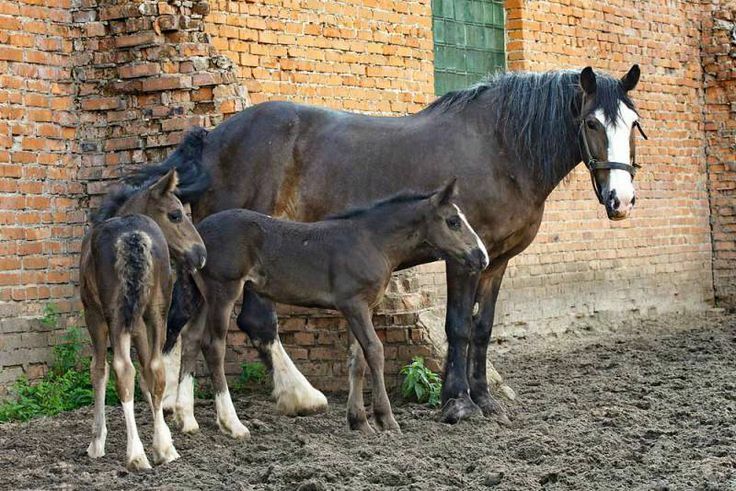 Large native horses were crossbred with various imported draft breeds including the Suffolk Punch and the Percheron. 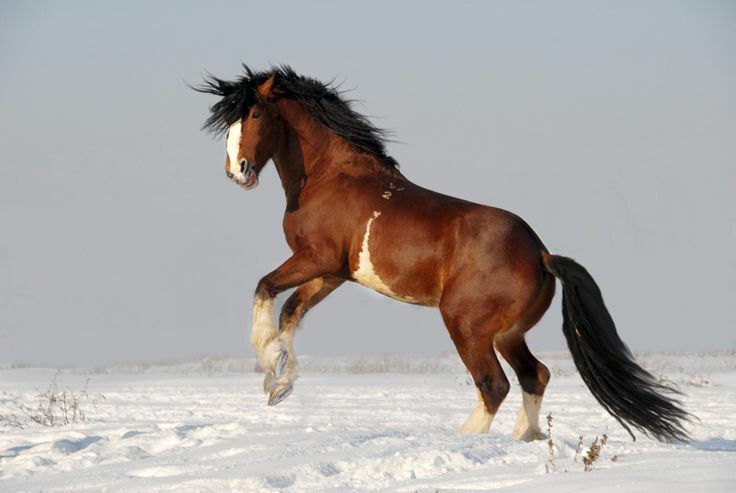 Later, the addition of Clydesdale, Ardennes, and Shire blood also influenced the breed. 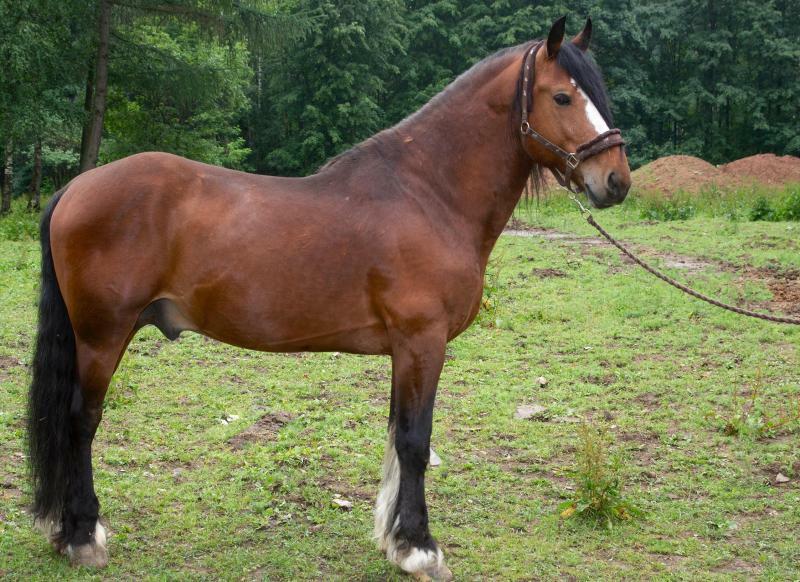 A crucial role in developing the breed was played by the stud farm named Gavrilovo-Posad breeding station. 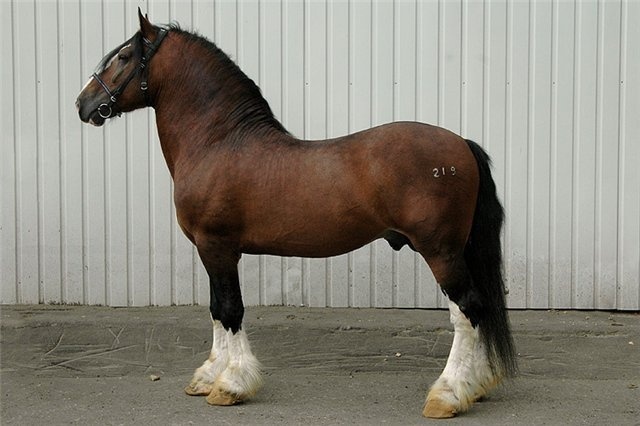 The Vladimir Draft horse was recognized as a true breed in 1946. 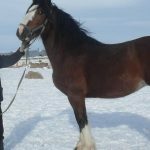 Its breeding has now been widespread with the Yuryev-Polski stud producing a significant number of Vladimir Heavy Drafts. 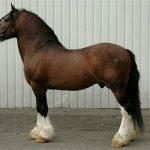 Currently, the breed has four lines. 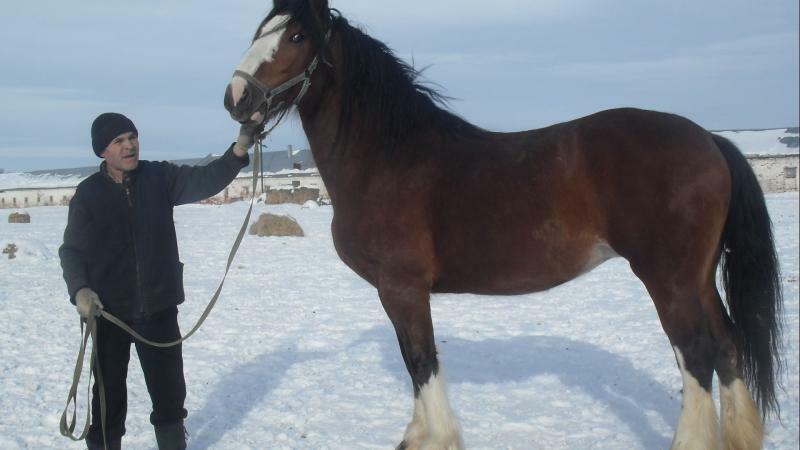 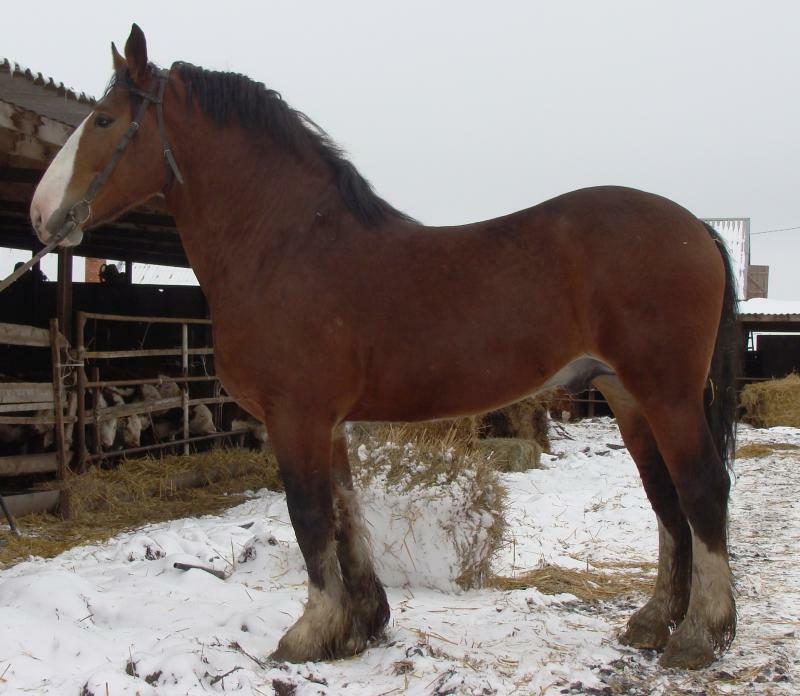 These Heavy Draft horses have distinctive blaze or star markings on their face and legs.